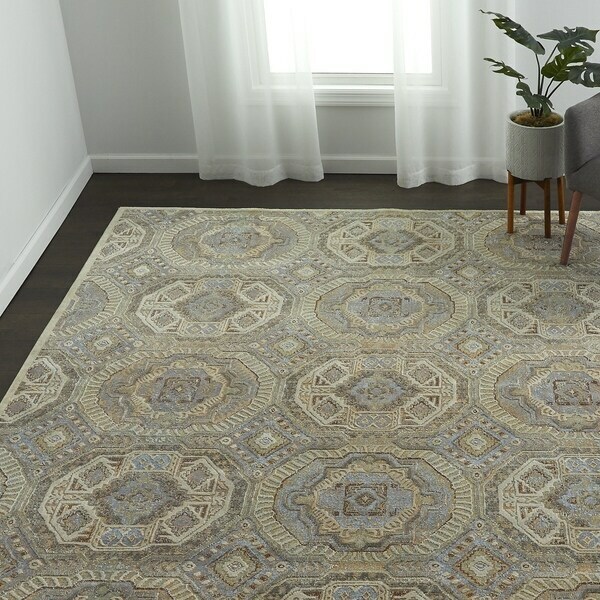 Drawing inspiration from global and traditional designs, the Zhlobin medallion area rug showcases intricate medallions and a beautiful blend of 16 high-quality colors. Available in a variety of sizes, each rug is power-loomed in Turkey using polypropylene material to create a soft, durable weave that is resistant to water, stains, and fading for a stunning style that's built to last. Nourison Passionate Navy Blue Medallion Rug - 3'11" x 5'11"